Come July 21st, Tremor, the 4th & last DLC character from the Kombat Pack will be released. And on July 28th, he will be available for purchase to the rest. Here's the Official Trailer for Tremor. 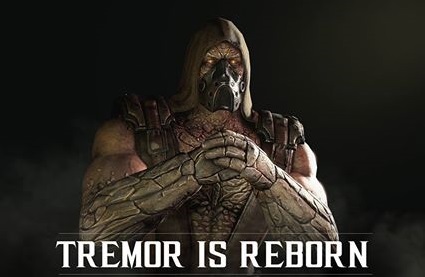 Tremor looks amazing! More muscular than even Jax but just as quick as the other ninjas..
A member of the Black Dragon clan, Tremor appeared in the comics and he looked really badass! It was cool to play as Jason and Predator in MKX but I'll take more MK characters over guest characters anytime. Also, for those who bought the Kombat Pack, on July 2st, along with Tremor, the Klassic Skin Pack #2 will feature classic skins for Quan Chi, Jax & Kung Lao.